A former top energy advisor to President Trump, George David Banks, will lead a new multi-million dollar campaign aimed at limiting the way large investment firms, like BlackRock, influence shareholder resolutions on hot-button issues like climate change. Why it matters: As the Trump administration retreats on climate policy, investors of publicly traded companies are filling the void by pushing non-binding but symbolically important resolutions urging more disclosure around how climate policies could impact bottom lines. Climate change is among the most high-profile issues in this broader process known as “shareholder advocacy,” along with lobbying disclosure and gun control. 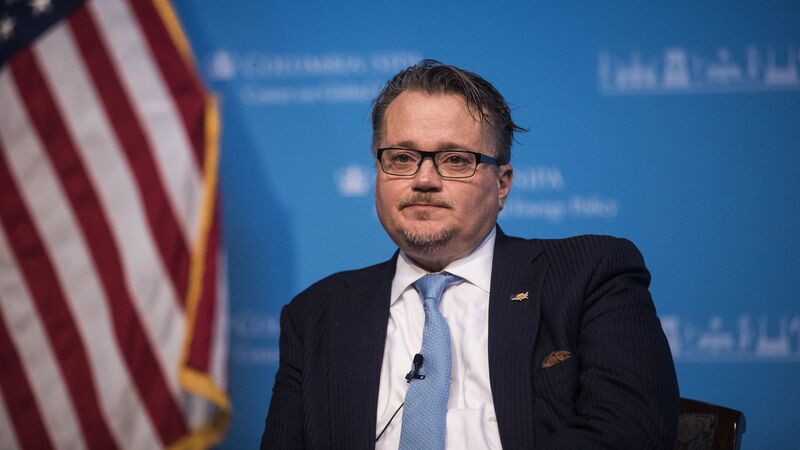 Driving the news: Banks, who resigned from his White House position earlier this year over security clearance issues, is executive director of the new campaign called Main Street Investors, being announced today. It’ll be housed inside the National Association of Manufacturers, with additional launch partner groups including American Council for Capital Formation and Savings & Retirement Foundation. The campaign’s specific budget isn’t disclosed, but a person involved said it will be in the millions — at least. The focus first will be writing studies and op-eds backing up their positions, and longer-term they plan to push legislation and reforms at the Securities and Exchange Commission, Banks said. One level deeper: The campaign’s message is that large asset managers like BlackRock and Vanguard Group, which have traditionally been passive investors, wield too much power in the shareholder resolution process, at the expense of individual investors. Together, BlackRock and Vanguard are on track to manage $20 trillion in assets — more than the current U.S. GDP, per this Bloomberg story. Many climate-related resolutions over the past year are passing largely because these companies are voting in support. For the record: In statements to Axios, spokespeople for BlackRock and Vanguard emphasized they're taking these steps to maximize shareholder value--not for any other reasons. Vanguard: "We engage with companies and vote on proposals for one reason: to protect our clients’ long-term financial interests, not to promote any one particular social or political agenda."